Summit Entertainment and Roadside Attractions are releasing the acclaimed drama on July 29. Logan Lerman is best known to audiences for playing the title character in the fantasy-adventure series “Percy Jackson,” but the young actor has been carving out a very distinguished roster of dramatic performances with roles in “The Perks of Being a Wallflower,” “Noah” and “Fury.” This summer, Lerman will breakthrough like he never has before thanks to James Schamus’ “Indignation,” a collegiate drama that earned some of the best acclaim at the Sundance Film Festival earlier this year. The film co-stars Sarah Gadon, Tracy Letts, Linda Emond and Danny Burstein. 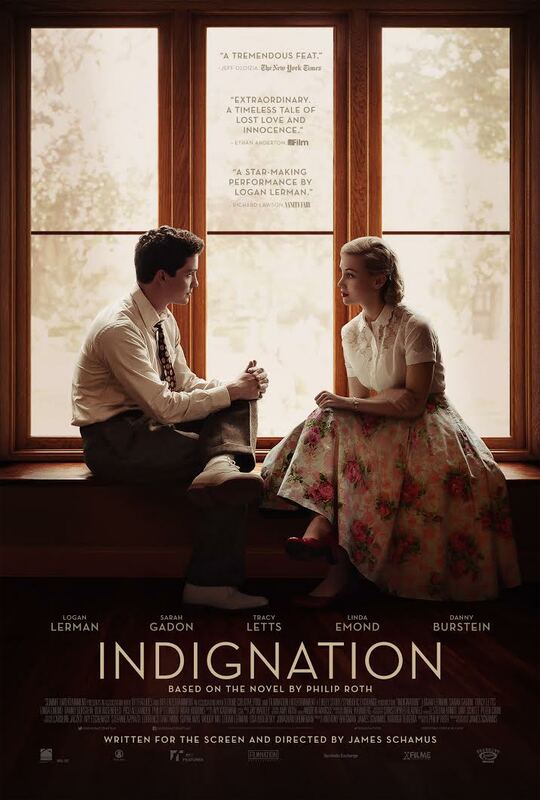 Based on the novel by Philip Roth, “Indignation” stars Lerman as Marcus Messner, a working class Jewish student who receives a scholarship to attend a small, conservative college in Ohio. Set in 1951, the story follows Messner as he attends the college, thus exempting him from being drafted in the Koran War, but a blossoming love affair with a beautiful classmate and a volcanic relationship with the college’s dean put his plans to the ultimate test.